Essential oil or better known as etheric oil is a volatile material, has a bitter taste, and smells like the original plants taken from plant parts such as leaves, fruit, seeds, flowers, roots, rhizomes, bark , even all parts of the plant. Essential oils other than produced by plants, can also be a form of the results of degradation by enzymes or made synthetically. We, CV. Ratu Aroma sells essential oils at low prices and best quality. Cardamom is native to Indonesia, and is traditionally used in medicine for spiritual perfumery (taking prayers heavenward) and for calming the digestion. A perennial, reed-like herb, Cardamon grows wild and is cultivated in Indonesia island. and the high price reflects the high reputation of this most pleasantly scented spice. Cardamon essential oil is steam distilled from the plant's dried, ripe seed pods, and is one of the best aromatherapy oils to use as a 'general tonic' for the mind and body. 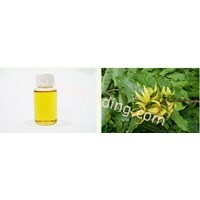 Ylang Ylang Oil Specifications Product :Ylang Ylang Oil CategoryNatural Essential Oil From Indonesia. We Closely Cooperate With Local Farmers And Distillers In Sumatra, Sulawesi And Java In Producing Natural Essential Oils.We Have Been Supplying Essential Oils We Mainly To France, Spain, United States, India, Brazil, South Korea, Australia, Malaysia And South Africa. 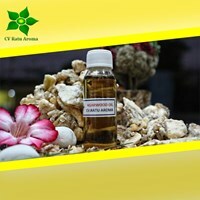 Agarwood Oil is extremely rare precious oil that originates in Indonesia islands (Sumatera, Kalimantan, Irian jaya), Forest parts of South East Asia. It has a very long history of use in medicines, incense and as aromatic oil. Also known as aloes or aloes wood, Oud oil, Eaglewood ud, Aloeswood and Kiara. there are several species of Agarwood, including Aquilaria agollocha, A. Malaccensis and A. Crassna. Buat Permintaan Untuk "Essential Oils"
The Cananga tree (cananga odorata macrophylla) belongs to the same botanical family as the tree which produces Ylang Ylang essential oil. It is a tall, tropical tree which grows up to 98 feet high and the oil is extracted from its large, aromatic, yellow flowers, identical to those of the ylang ylang. The cananga tree is native to tropical Asia, and the oil, that is steam-distilled from the flowers, is distributed from indonesia islands (Java and Maluku). Cananga and Ylang Ylang essential oils have different (yet similar) aromatic properties. Traditionally, Cananga was used by local people to treat infectious diseases, such as malaria. Cananga is now used in aromatherapy to treat insect bites, for skin and hair care, to relieve anxiety, depression and stress related illness. It also has antiseptic, sedative, aphrodisiac, and nervine properties. It is often used in soap perfumery and men's fragrances but is generally considered of a lesser quality than Ylang Ylang, as it has a heavier and less delicate aroma. The Cajuput tree / White Tea Tree, originates from the Indonesia coastal plains. Cajuput has historically been used for its ability to produce a sensation of warmth and comfort. 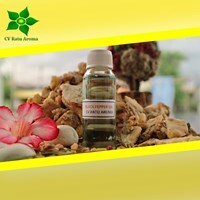 In modern aromatherapy Cajuput essential oil is still used to ease aches and pains, and is an ideal aromatherapy oil for an after-sports massage blend. As a sister plant to Tea Tree, Cajuput essential oil has a wide range of uses but is perhaps most beneficial for its antiseptic properties, and for combating infections such as colds and bronchitis. It is also used for digestive and skin problems and for stimulating the mind. 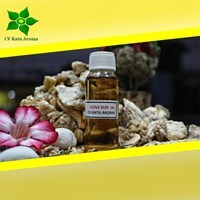 Like Ravensara, Cajeput oil is considered to have a more pleasant smell than Tea Tree and it is therefore a popular alternative when a more fragrant aroma is required. Clove Bud essential oil is distilled from the flower buds of the Clove tree which is native to the (Maluku, Sumatera and java) Islands in Indonesia. The tree has glossy green leaves and rosy-pink buds, which turn to fragrant red flowers and purple fruits. Clove essential oil has been used since Victorian times to help relieve toothache. It has strong antiseptic properties which are useful in preventing colds and flu, and it is often used in soothing, warming aromatherapy blends for joints and muscles, and as an anti-fatigue treatment. It is also a popular essential oil to use for seasonal room fragrancing at Christmas time. 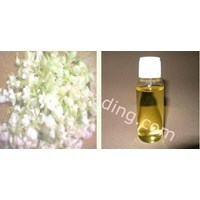 Oil Jasmine Absolute Specifications Product :Category Oil Jasmine AbsoluteNatural Essential Oil From Indonesia. We Closely Cooperate With Local Farmers And Distillers In Sumatra, Sulawesi And Java In Producing Natural Essential Oils.We Have Been Supplying Essential Oils We Mainly To France, Spain, United States, India, Brazil, South Korea, Australia, Malaysia And South Africa. 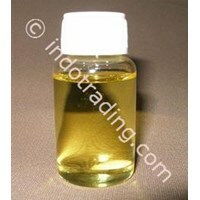 Oil Aquillaria Mallacensis Specifications Product :Category Oil Aquillaria MallacensisNatural Essential Oil From Indonesia. We Closely Cooperate With Local Farmers And Distillers In Sumatra, Sulawesi And Java In Producing Natural Essential Oils.We Have Been Supplying Essential Oils We Mainly To France, Spain, United States, India, Brazil, South Korea, Australia, Malaysia And South Africa.